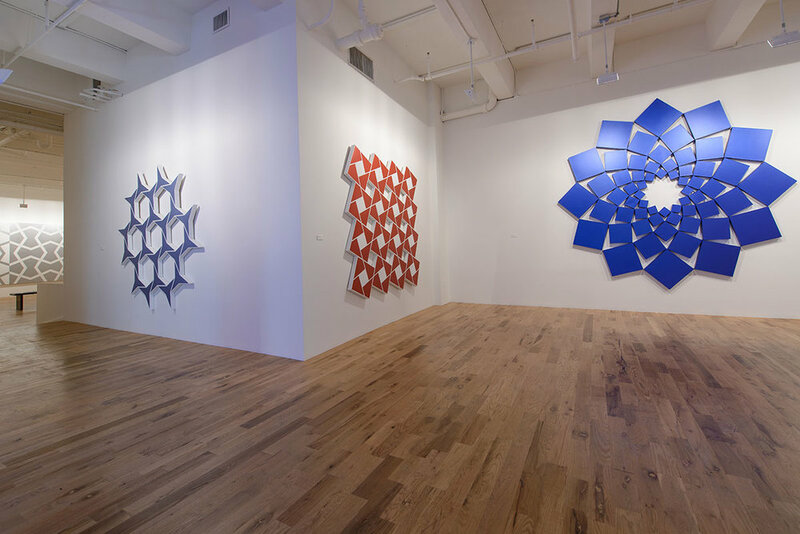 Found in Translation: The Art of Steven Naifeh, presented by the Middle East Center for the Arts (MECA) in collaboration with Leila Heller Gallery, is on view from March 7 to August 1, 2014 at Mana Contemporary. 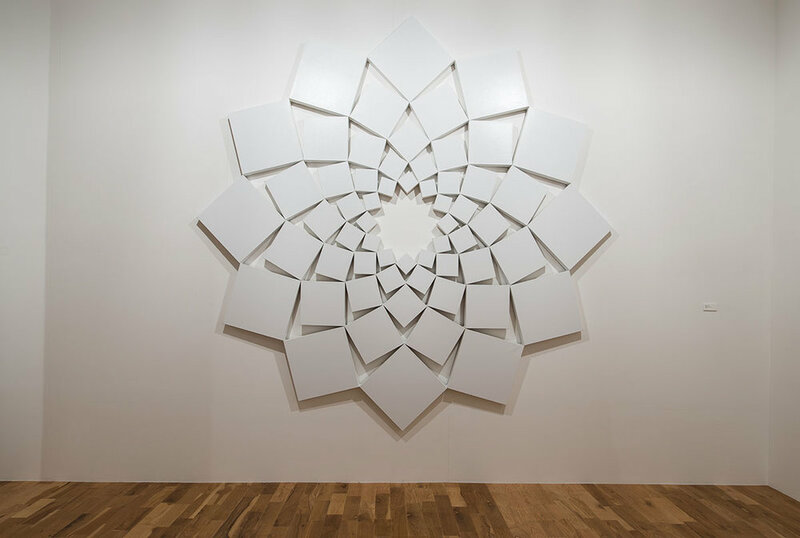 Spanning three decades of work, the exhibition is a testament to Naifeh’s upbringing as the son of American diplomats. 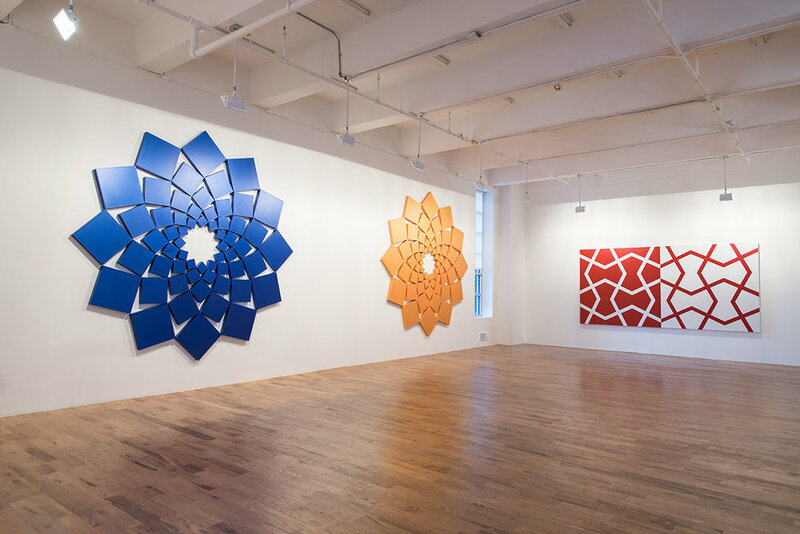 As a child and young adult, Naifeh was immersed in the rich motifs and geometric patterns of the Arab and Islamic world. This upbringing, combined with a deep scholarly knowledge and appreciation for the history of Western abstraction, has resulted in an extraordinary body of work that distills mathematical formulas to achieve decorative splendor. 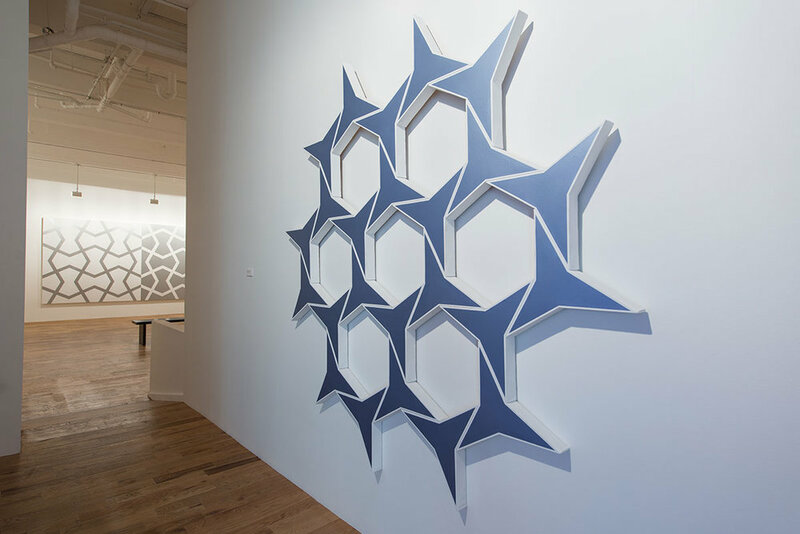 The exhibition, which enchants with kinetic power and tessellating energies, includes 15 immersive, modular pieces on the third floor of Mana Contemporary, as well as two additional works in the main lobby.